Located in Gaylord, Michigan, NAI's new plant represents the company's return of manufacturing to the U.S. and the Midwest. The company designs and manufactures a variety of custom electro-mechanical assemblies. Photo courtesy of NAI. 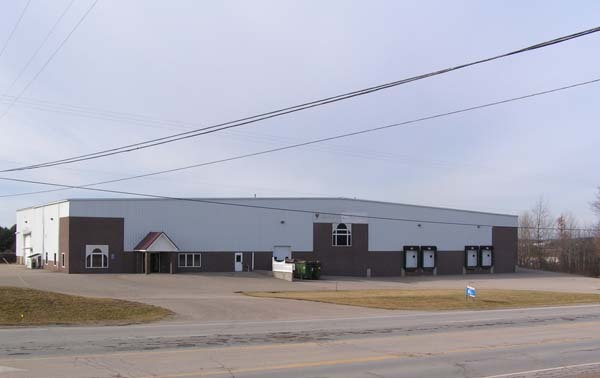 TROY, Mich.–NAI, a manufacturer of connectivity components and assemblies for the medical, industrial, and telecom sectors, will open its newest factory in Gaylord, Michigan, after offshoring its manufacturing in 2009. NAI moved its manufacturing operations out of the U.S. in 2009, during the telecom market collapse. Since then, the company has built a balanced and strong portfolio of customers, products, and served market segments in the industrial technology, medical, and telecom sectors. NAI's return of manufacturing to the U.S. was prompted by customer requests to provide support from a U.S. location for certain products and projects, the company reported. "Our Solutions Center in Troy, Michigan, as well as our facilities in Hermosillo, Mexico, Suzhou, China, and Nogales, Arizona, will provide engineering, manufacturing, and logistics support to the Gaylord plant, optimizing our assets and leveraging our synergies," said Jon Jensen, president and CEO of NAI, in a press release. "We are excited to become part of the Gaylord community." The new 25,000-square-foot Gaylord manufacturing facility will begin production in June 2018. NAI plans to hire approximately 40 new employees in 2018, and reach a total of 125 in 2019. The new plant will produce various interconnect assemblies, eventually including electro-mechanical assemblies, such as box and panel builds. Capabilities will include injection molding (with nine large presses initially, ranging from 50 to 500 tons), sterilization, and the assembly of finished goods. The Gaylord facility will serve all three NAI customer segments: medical, industrial technology, and telecom. NAI (www.nai-group.com) considered locations in Indiana and Ohio, but reportedly chose the Michigan location because of its high concentration of engineers and other talent, supportive business climate, excellent schools, and optimal logistics. The proximity of the Gaylord plant to some of NAI's customers, as well as to its Troy Solutions Center, was also a consideration. The Michigan Economic Development Corporation has been very helpful in facilitating the decision and transaction, NAI said. In addition, the Otsego County Economic Alliance partnered with NAI throughout the project. "The OCEA and Otsego County officials have been very helpful and have provided us with a warm welcome," said Robert Zimcosky, special projects director, NAI.